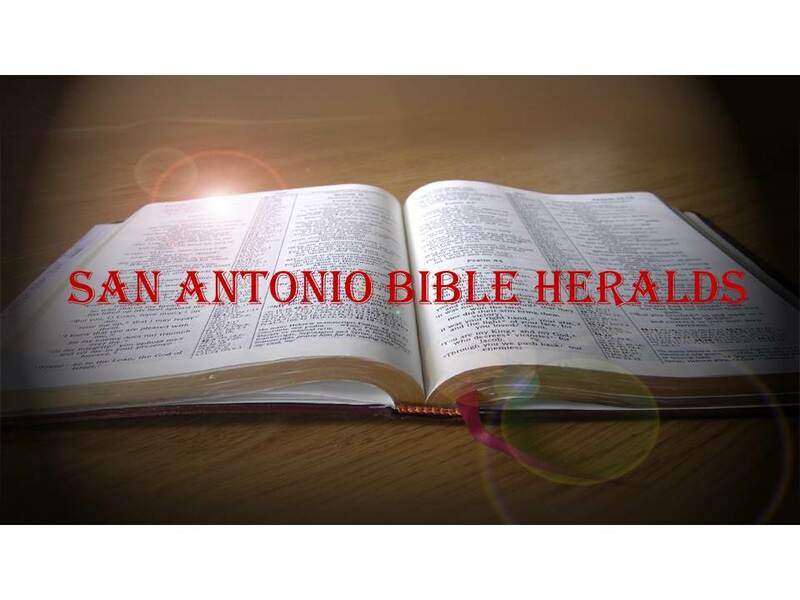 San Antonio Bible Heralds: The World You Wanted! You read it (in today's society, you probably watch it), all the time. Increases in venereal disease, more divorce, less marriage, lower birth rates. The world is awash in sinful behavior and lack of modesty and, let's face it, rational decision making. Today, people will tell us that the epitome of freedom is to do what you want, regardless of how reckless and irrational. People no longer think about the consequences or their actions. They just "go with it" and deal with the results, if they ever do, at some point much later in the future. We are reminded of the old Jewish king who, when God told him that He would punish Israel for their sins, but not during the king's lifetime, thought it was just fine. And where does all this come from? For decades, secularists have insisted that religion, and especially Christianity, must be eliminated from the public sphere. Men and women should be allowed to do just about whatever they want, as long as it supposedly doesn't "hurt anyone else." If you have a modicum of common sense, however, how you can come to the conclusion that the behavior that takes place on a regular basis all around us doesn't hurt others is beyond me. Every person's behavior has a ripple effect on others. I don't live on an island all by myself. What I do today will have consequences for others, even if just for my children, in the future. The issue, however, is that people have become so self-centered, that they no longer care what happens to future generations. Witness how parents are increasingly permissive. Our society has become an infantile one where, as John MacArthur once said "teachers are afraid of the principal, the principal is afraid of parents, parents are afraid of their children and the children are afraid of no one." Thus, the people who are least equipped to make rational, sensible decisions, our children, are the ones who are running the show. The predictable result is that we conduct society's business based on our feelings at any given moment rather than relying on our God-given intellect. And, sad to say, this is an attitude that has also infected the church. As John Robbins said, "Twenty-first-century American churchgoers are children carried about by every wind of doctrine, not knowing what they believe, or even if they believe anything for certain." Recent surveys tell us that even among young people who are still churchgoers many doubt whether the Bible is even true. Yes, even within the church the post-modernist virus grows unchecked. The irony of all this is that the ones that howl the loudest at the wretched condition of our nation and our world, are the very ones that brought us to this point in the first place. In their rush to create a world where passions and desires are the most important factors in how you live, they forgot that living that way inevitably leads to chaos. If you preach sexual liberalism, you get an increase in venereal disease and pregnancies out of wedlock with their resulting fatherless children. If you preach abortion on demand, you get women who are psychologically damaged and whose lives are forever shattered, not to mention millions of little lives snuffed out at the altar of convenience. If you preach lack of discipline, you get undisciplined children. "Be not deceived, God is not mocked. For what a man sows that also he will reap" (Galatians 6:8). So, the next time you think that libertine behavior will somehow make your life better, think again. 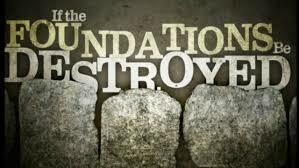 The only thing that such undisciplined lifestyle does is destroy the future you could have if you submit to God and His law. After all, law and order is how He designed the world to run. And, whenever we attempt to do things contrary to the Designer's wishes, they never turn out well, now or in eternity! A little surprised you know who John Robbins is. (Was, actually, I think he passed away.) You must really be doing some heavy weight reading these days! I find it a fascinating thought that God created the world a certain way so that morality works out well, and immorality does not. God's holy principles are woven into the fabric of the universe. There is morality. You can explain it away and seek to cushion the blow of judgment through any number of physical hacks to your biology... but if you have to hack the system, there is a system that is being hacked. You cannot deny that there's a system if you are hacking it. And hacking it is not a permanent fix, but only works for a while. It's fun to see a few millennials discovering old traditional truths that their parents abandoned. They see how not following those principles did not work for their parents, and they want a life that works.... Though they may be unsaved and outside of the promises, yet they glorify God in a limited way.